Ring inside new-year with Food Network’s classiest sweets, from molten chocolate dessert to delicate lemon bars completed with a sweet dusting of confectioners’ sugar. Additionally? Each dish is independently portioned for easier helping and cleanup. 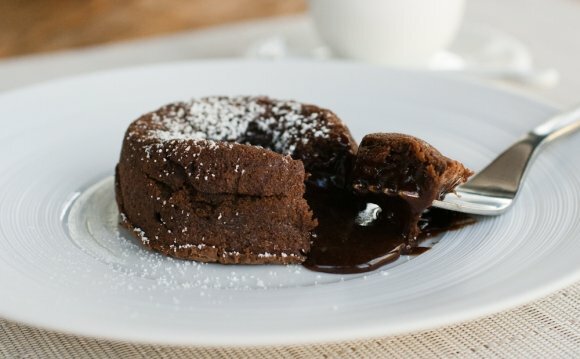 Molten chocolate desserts couldn’t be more straightforward to make, but by way of their soft, oozy center, they always take the program. Anne Burrell’s decadent recipe features an awesome peppermint topping — an amazing seasonal accent, and a good chance to burn up the final of the Christmas time candy canes. If you’re wanting a normal lemon club at the end of your brand-new Year’s feast, look no further: Buttery shortbread crust and zesty lemon curd tend to be in abundance. If you’re selecting one thing to make ahead of time, pop in the refrigerator and serve quickly after dinner, test this panna cotta dish. It’s vanilla, therefore it goes great with nearly every good fresh fruit topping. Rich yet mellow, Ina Garten’s fudgy brownies count on flaky salt and store-bought caramel sauce because of their sophisticated toffee taste. Much easier to provide than a complete cheesecake, these tender taverns feature a classic graham cracker crust and a swirl of luxurious raspberry jam over the top. This classic custard is probably flavored with vanilla and Grand Marnier. Ina lets the woman friends put on the completing touch by caramelizing their very own sugar topping with a kitchen blowtorch.